Opening up to the community is the reception for VIEW – points, an exhibition focusing on the cultural and conceptual implications of mapping as both object and activity. Although the discussion of mapping typically focuses on the relationship between the map and its referent, the emphasis shifts to include relationships between artists’ intentions and the principles of selectivity they employ. Work from local artists; G. M. Donley, Michael Loderstedt, Wendy Partridge, Sai Sinbondit, and Rebekah Wilhelm were curated to show these themes at play. The artists and viewers participating in VIEW – points explore, provoke and reflect on mapping as orientation rather than destination. 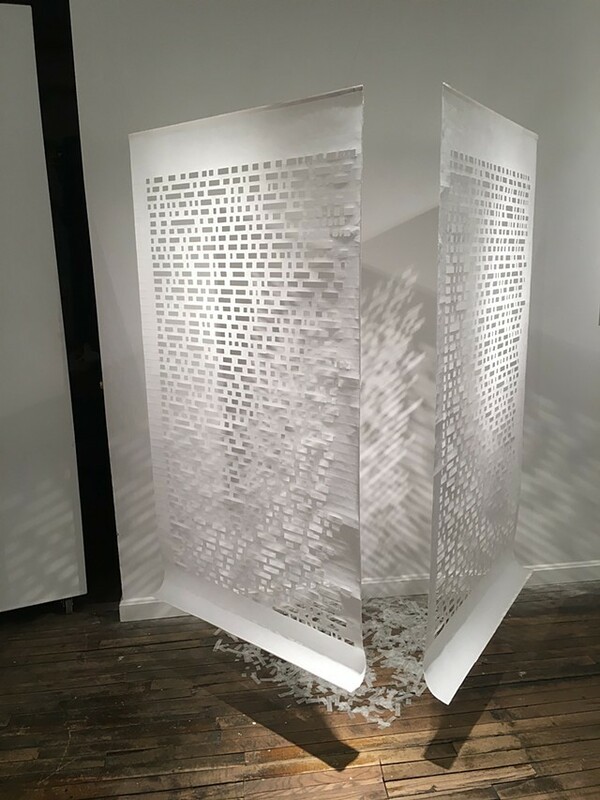 Ekphrastacy: Artist Talk + Poets Respond | Thursday, February 14, 7:00 p.m.